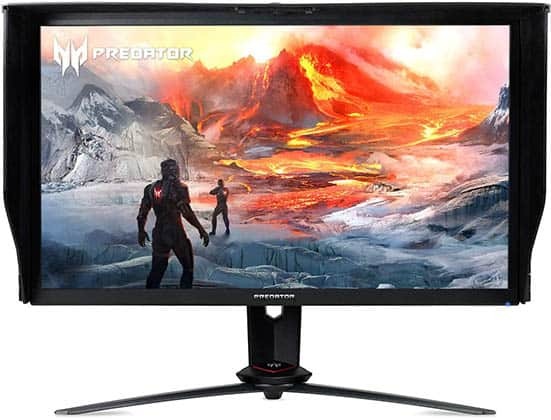 If you want a 4K 144Hz gaming monitor and can’t afford the ~$2000 Acer X27 and ASUS PG27UQ models, the Acer Predator XB273K may be just the display for you. It doesn’t have the 384-zone full-array local dimming system for the impeccable HDR viewing experience, but it’s available at almost half the price and you still get all the important features such as 4K, 144Hz, G-SYNC, etc. The Acer XB273K also supports entry-level HDR which will provide you with a small but noticeable boost in image quality for compatible content. 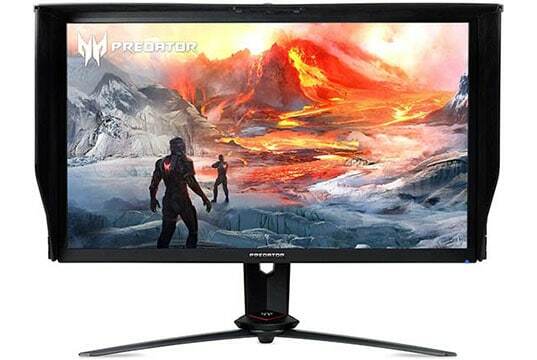 In this review, we will also compare the XB273K to the Acer Nitro XV273K which is the FreeSync version of this monitor with a few additional and important differences besides the VRR technology. 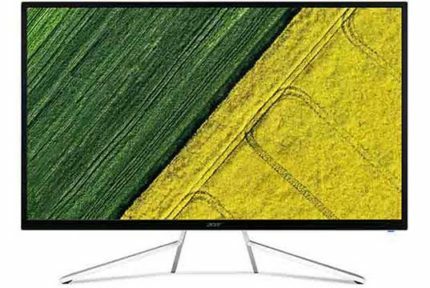 The Acer XB273K is based on an AHVA (IPS) panel by AU Optronics and offers a peak luminance of 350-nits (400-nits for HDR content), a static contrast ratio of 1,000:1, 10-bit color depth support via dithering (8-bit + 2-bit FRC), 90% DCI-P3 color gamut thanks to the quantum dot technology, 178-degree viewing angles, and a 4ms response time speed. In comparison, the more expensive 4K 144Hz models have an active contrast ratio of 50,000:1 and a peak luminance of 1,000-nits made possible by the FALD (full-array local dimming) system. So, you won’t get nearly as vivid details, but considering that you’re paying half the price, it’s only fair. On the other hand, thanks to the quantum-dot enhanced colors, decent peak brightness of 400-nits, and professional-grade factory calibration (Delta E < 1), the Acer XB273K monitor provides a notable improvement over the standard picture quality. It bears VESA’s entry-level DisplayHDR 400 certification. 4K UHD resolution ensures a crystal-clear image quality as well as plenty of screen space due to the rich pixel density of 163 PPI. Although it’s quite demanding to drive, especially at higher frame rates, at least you won’t have to use anti-aliasing to eliminate the staircase effect caused by low resolution. Our Acer XB273K unit had no excessive IPS glow and backlight bleeding nor any other defects such as dead/stuck pixels. Its backlight is flicker-free which along with the integrated low-blue light filter prevents headaches and eye strain caused by prolonged use of the screen. The Acer XB273K input lag performance is excellent with only ~5ms of delay which is imperceptible in real use. Further, the response time speed of 4ms (GtG – gray to gray) effectively eliminates all trailing left behind fast-moving objects for a fluid and smooth gaming experience. Now, in order to get 144Hz, you need to overclock the monitor from its native 120Hz refresh rate to 144Hz in OSD the (On-Screen Display) menu which will limit the color output from Full Range RGB 4:4:4 to YCbCr 4:2:2 chroma subsampling. This compression will make text and certain elements on desktop appear somewhat blurry, but it’s not noticeable in video games. In contrast, the FreeSync model of this monitor, the Acer XV273K, has two DisplayPort ports which allow it to reach 144Hz at 4K with no color compression. However, this also has its downsides; if you are using both ports, you can’t use FreeSync or HDR. On the Acer Predator XB273K, you can use G-SYNC all the way up to 144Hz. Plus, you get a wider VRR range of 30-144Hz as opposed to 48-120Hz of the XV273K. Additionally, you can use G-SYNC and HDR at the same time while with the FreeSync model, you have to choose between FreeSync and HDR. Besides G-SYNC, other gaming features include Aim Point – customizable crosshairs and Dark Boost which increases visibility of objects in dark areas in video games. There are three fully customizable picture profiles as well as a few pre-calibrated picture presets. You can also limit the color output to the sRGB color space if you need accurate sRGB color reproduction for work. 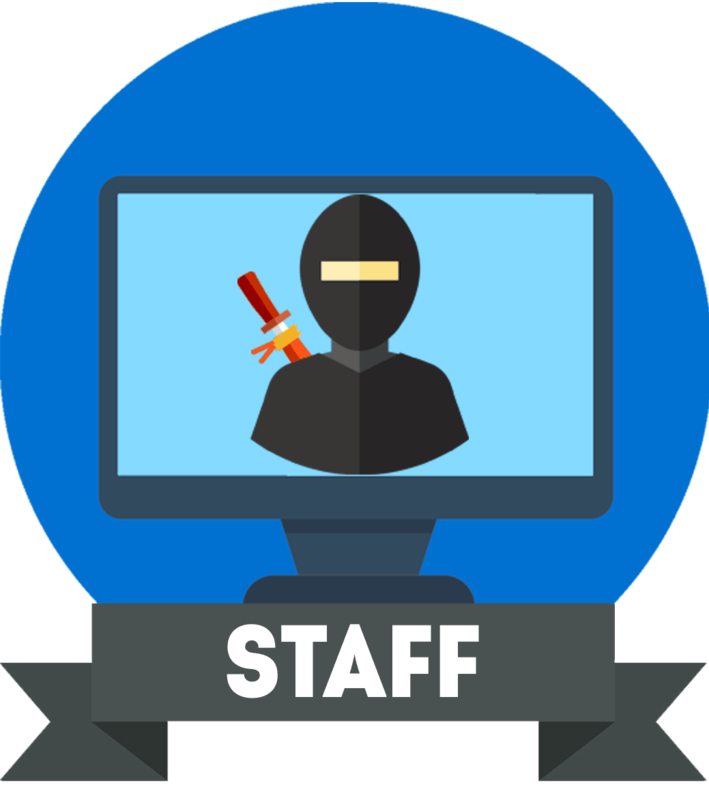 The OSD menu is user-friendly and easy to navigate via the joystick placed at the back of the monitor. There are four hotkeys, three of which you can use as shortcuts for certain OSD functions (picture mode, brightness, volume, overdrive, input source, etc). There’s also a built-in sensor which can automatically adjust brightness and black level according to ambient lighting. You will find a feature called ‘SDR Variable Backlight’ which enables local dimming for a slightly higher contrast ratio. Another interesting feature is the Ambient Glow RGB lighting technology with twelve customizable (color, brightness, style) LEDs placed beneath the display. There’s an additional LED at the back of the monitor. 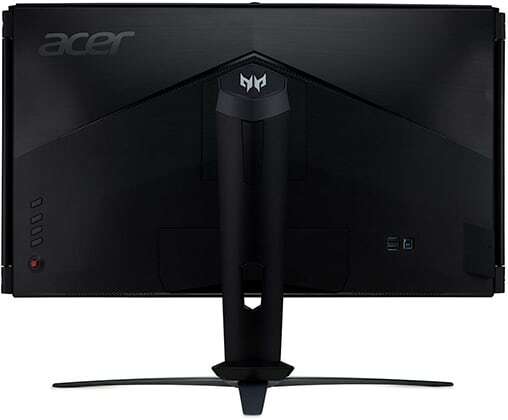 The design of the Acer XB273K 4K 144Hz gaming monitor is quite sturdy with fairly thick matte black bezels. The monitor can be height-adjusted up to 100mm, swiveled by +/- 20°, tilted by -5°/25°, or VESA mounted via the 100x100mm pattern. You cannot rotate the screen though. Connectivity options include DisplayPort 1.4, HDMI 2.0b, a headphones jack, two USB 3.0 ports at the side (one with fast-charging) and one upstream and two additional downstream USB 3.0 ports at the back of the monitor. There are also two 4W integrated speakers. The HDMI port is limited to 60Hz at 3840×2160, but it also supports HDR thus making the monitor great for console gaming as well. Further, the monitor has a light anti-glare screen coating, it comes with a detachable shading hood, and there’s an active-cooling fan which isn’t loud. The Acer XB273K price is around $1,200. So, it’s certainly not cheap, but it’s still a lot cheaper than the 4K 144Hz models with full-array local dimming. If you have the PC rig to power this gaming machine, it’s certainly worth it. 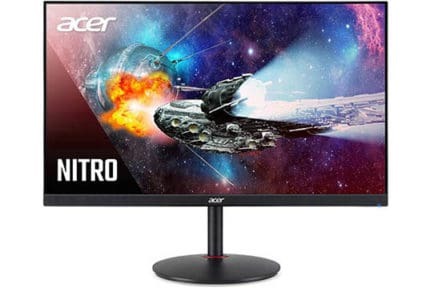 Now, the Acer XV273K FreeSync model is available for around $300 less and given that’s it’s G-SYNC compatible, you may be tempted to get it instead. However, although the XV273K can achieve 4K 144Hz with no color compression, it cannot do so without sacrificing HDR and FreeSync and the latter is especially important for gaming at 4K. So, consider the advantages the XB273K offers. First of all, you get the advantages of the G-SYNC module including a slightly lower input lag, a faster response time due to the variable overdrive, and a wider VRR range which is a big plus when playing more demanding games at 4K. Secondly, you can overclock the monitor to 144Hz and use VRR. Although there’s color compression, it’s not even noticeable in video games. Further, you can use VRR and HDR at the same time which is not possible on the XV273K. Lastly, the Acer XB273K G-SYNC monitor appears to have better quality control as most of the XV273K units suffer from severe IPS glow. When you add up all these things together, the price difference is justifiable considering you’re already paying a lot for a gaming monitor. Of course, if you have a high-end AMD graphics card such as the Radeon VII, the XV273K is a better choice. Overall, the Acer XB273K is an amazing gaming monitor that ticks all the boxes. It offers a flawless performance, a stunning image quality, and plenty of useful features, for a fair price. The Acer XB273K is one of the best gaming monitors you can get. It's not as good as the 384-zone FALD alternatives, but it's considerably cheaper yet offers just as smooth gaming experience.